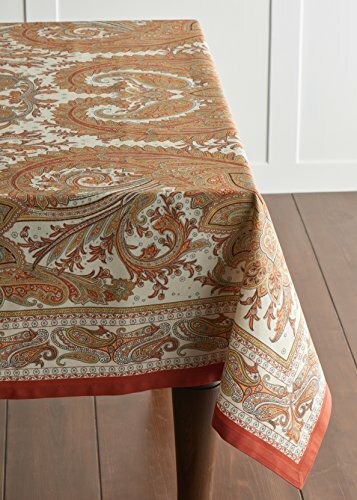 About the Product: This beautiful table cloth from the 'Kashmir Paisley' collection is just the right amount of ornate without being crowded. 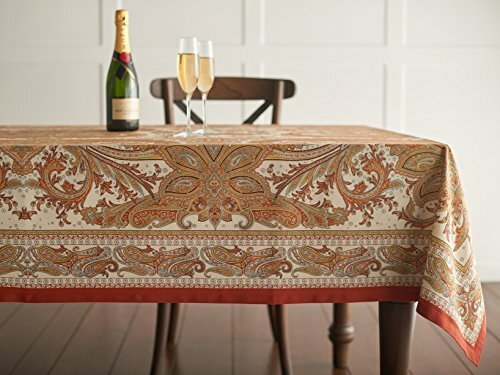 Intricate paisley patterns in warm colors emerge from a white background to create a stunning table cloth. 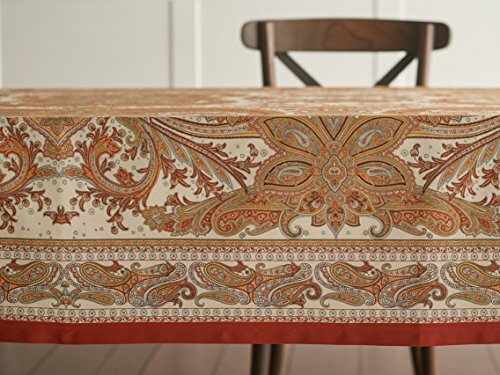 This 100% cotton fabric from India has the right weight for a beautiful drape over your table. 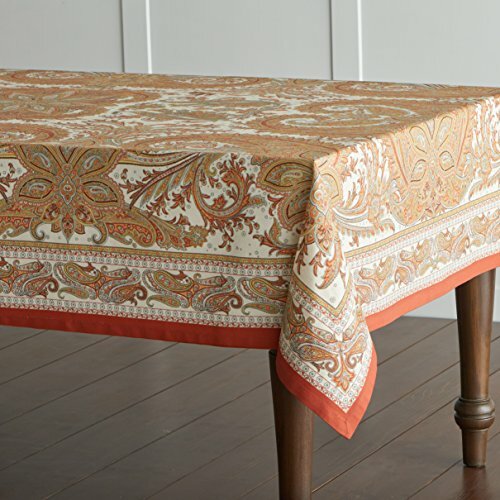 A band of smaller paisleys border the table cloth and it is all framed with a bright orange band . 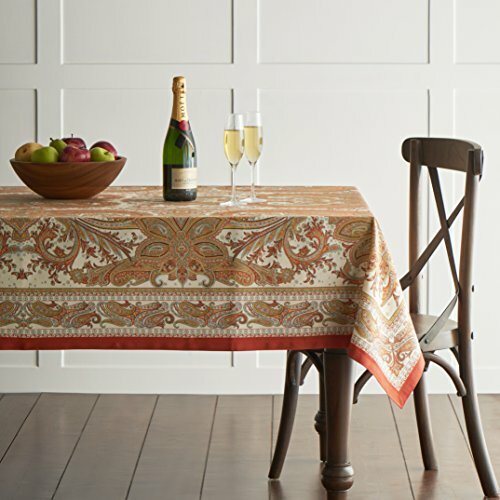 About the Collection : The Paisley has a history dating back many centuries and it was in the 17th century that the French were introduced to it in the form of Kashmir shawl imports from India. The Paisley pattern was then reproduced locally in Marseilles and soon became popular and synonymous with French textiles. This has been the inspiration for the 'Kashmir Paisley' collection from 'Maison d' Hermine'. 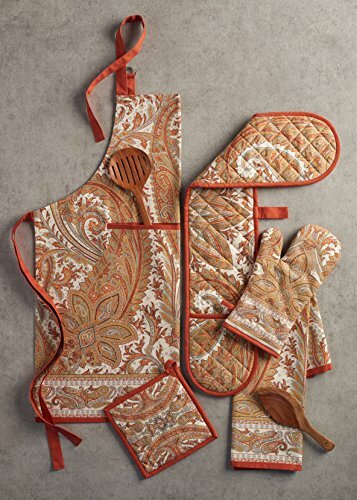 With its warm colors and decorative pattern, they instantly liven up the kitchen and table. About the Brand: Maison d' Hermine brings the aesthetic of the French to your home with their collection of sophisticated table and kitchen linen. Hand painted watercolor motifs are carefully laid out by French designers and recreated on fabric with print. Designed in France and printed on cotton in India, Maison d' Hermine marries modernity with style. Every collection from the house of Hermine is a result of careful understanding and research for an ideal way to liven up your table and kitchen.